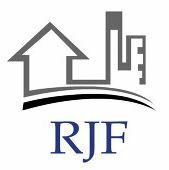 RJF Decorating - Painter/Decorator based in Hassocks, West Sussex. RJF Decorating is a small family run business based in Sussex. While remaining competitive with our prices, we pride ourselves on our quality of work and attention to detail. We cater for homes, businesses, shops, schools, offices, hospitals, both commercial and residential premises.